Being a makeup artist can be a a good thing and a bad thing when getting ready. Although having all the good tips and tricks from my trade, sometimes, it can be a nightmare having TOO much makeup. I know, I know, first world problems, but every now and again I get myself into some kind of a rut with my makeup routine. 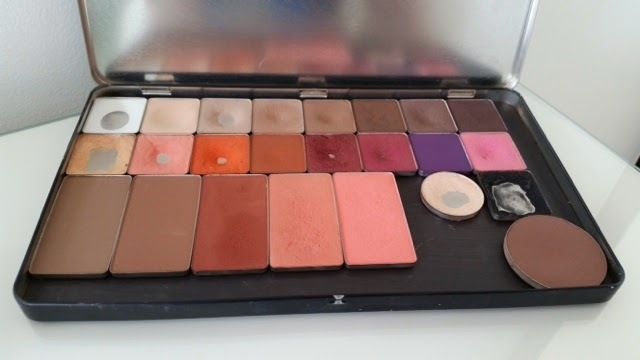 To help me get out of this rut, I've decided to re-jig my everyday makeup palette. Cosmetic brands make palettes to make it easier for the consumer to create a whole look with one purchase, however, they team their best sellers with their worst so you find yourself never using the full palette. 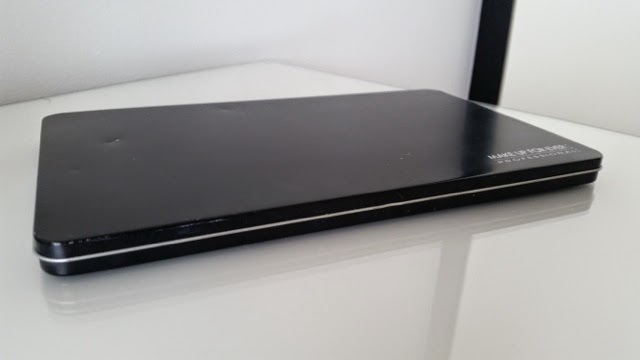 I use the MakeUp Forever Empty Magnetic Palette. Now I can build my own palette with all my favourite products and brands to suit me and my makeup taste. These are my go-to colours for anything from a natural day look to a dramatic evening style. 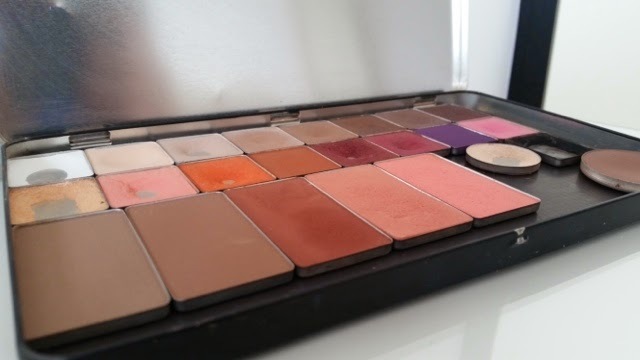 In my palette, I have three of my favourite Inglot blushers, two new Inglot contour powders, my favourite MAC contour powder, three highlighting eyeshadows and fifteen coloured eyeshadows. 373 matte eyeshadow. 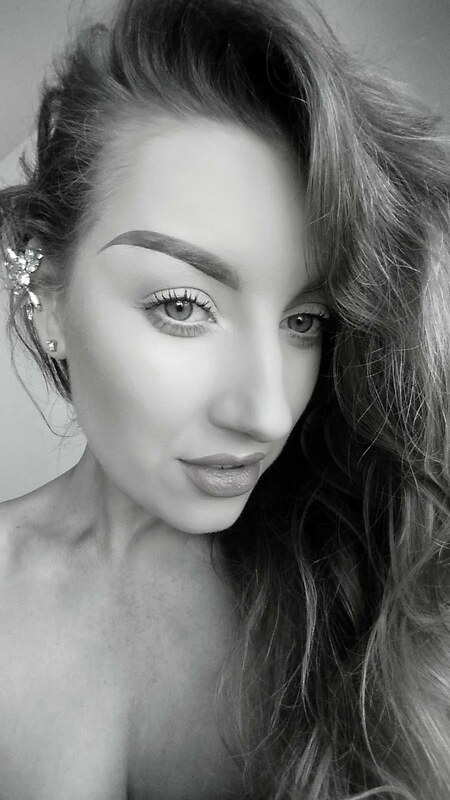 Great for a matte highlight under the brow. 390 matte eyeshadow. This is fab for naturally contouring the socket of the eye. 337 matte eyeshadow. A great shadow for blending out other shades. 357 matte eyeshadow. A medium toned warm brown. Perfect for almost anything! 327 matte eyeshadow. A warm, chocolate brown. Goes with all skin tones. 363 matte eyeshadow. A cooler medium brown tone. Love using this tone when I don't have tan on. 326 matte eyeshadow. A dark, purple toned brown. A beautiful alternative for black. 393 sheen eyeshadow. My favourite shade when I want a strong highlight or for inside of eye. 361 matte eyeshadow. A light peach tone perfect for blending out a adding warmth to your look. 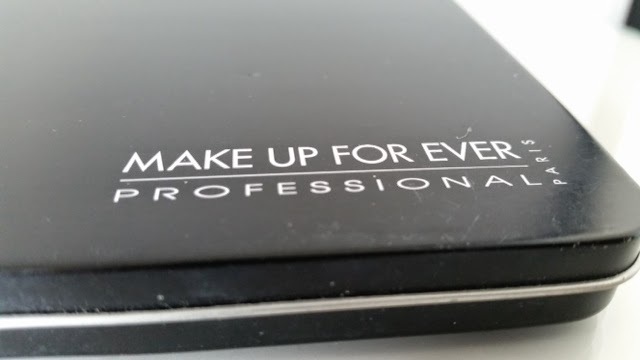 51 matte eyeshadow with glitter. Mixed with your neutrals, perfect for adding colour to a neutral eye. 335 matte eyeshadow. A burnt orange will warm up any warm toned brown. 450 sheen eyeshadow. The perfect cranberry. Used with others or alone, really brings out blue eyes. 74 matte shadow with glitter. Mixing this with orange tones gives you a stunning sunset toned eye. 325 matte eyeshadow. I call this Cadbury purple. My all time favourite purple, ever. 362 matte eyeshadow. A bubblegum pink, beautiful for blending out purples or to use on the cheek. 46 sheen eyeshadow. My all time favourite highlight. A pearlescent tone suitable for any skin tone. 63 matte shadow. The blackest black I have ever used. I use this for smoking out a look or wet as liner. 505 matte contour powder. Cool toned contour for when not wearing tan. New product. 502 matte contour powder. Warm toned contour for yellow toned skin.New product. 41 matte blush. I rarely use this on my cheeks. I love it as a red toned shade on my eyes. 29 matte blush. A bright, medium toned coral. Beautiful on most skin tones. 47 matte blush. A bright, peach toned coral. Suitable for light to tanned skin tones. MAC Pro Definitive Contour Powder. Beautiful for light, pink toned skin.